Microgaming’s progressive jackpot games are favorites for their amazing 6 to 7 figure payouts and their excitement value. Watching a jackpot amount increase second by second, literally before your eyes, really gets a gambler’s pulse racing. Microgaming has a great selection of games offering progressive jackpots, over 40 in all. On this page we have reviews of all these games, with a live ticker to track the current jackpot level for each, plus recommendations for where they can be played. We have also integrated with the casinos and will be showing the win history of Microgaming’s progressive slots. Winners and amounts will be updated continually. Microgaming is a big developer with a big reputation for excellence. The list of Microgaming progressive jackpots follows in this grand tradition. The top payout in Microgaming history to date was an astounding €6,374,434 won by a small businessman from Greece in May 2009. (Prizes are paid in the currency in which the game was played, so they may be euros, British pounds or US dollars.) The runner up was $5,556,753 in April 2008, which a Finnish player won on a mere 50 cent wager. Other impressive wins are £4.1 million and £2.5 million in 2010 and £1.17 million in 2009. In addition, there have been numerous million dollar payouts. Betway Casino $1.24 million Mega Moolah Oct-09 Radoslaw M.
Roxy Palace Casino $1.43 million King Cashalot Apr-06 Amanda R.
Jackpot City Casino $1,29 million King Cashalot Sep-05 Tim F.
Jackpot City Casino $1.8 million Major Millions Jun-04 Joaquim M.
Lucky Nugget Casino $1.68 million Major Millions Jul-03 Jim L.
Captain Cooks Casino $1.59 million Major Millions May-02 Tony P.
32Red $1.63 million Major Millions Dec-03 Ronald H.
Slots are by far the most popular type of progressive game at Microgaming casinos. Microgaming gives a new spin to progressive slots with Mega Moolah and The Dark Knight, which have 4 separate progressive jackpots for a single slot. A variety of other game interests are catered to in the Microgaming progressive games network. Place a special side bet when you play Roulette Royale; you’ll be eligible for the progressive jackpot if the ball lands on your chosen number 5 spins in a row. A side wager is also required to enter the progressive competition in Progressive Blackjack, where the progressive jackpot is won by coming up with a specific combination of cards. Two video poker games, Jackpot Deuces and Supajax, combine the fun of slots, the skill of poker and the anticipation of a progressive jackpot. Microgaming launched the first wide ranging progressive network game, Cash Splash, in 1997. This was a classic slot, as were the other early Microgaming progressives, Major Millions, Lotsaloot and Wowpot. The lone table game with a progressive jackpot back in the day was Roulette Royale. 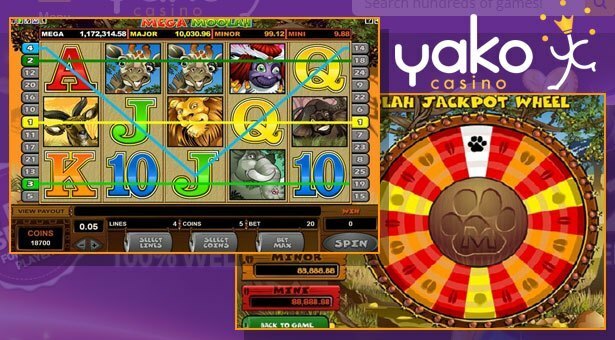 Multi line video versions of the slots were added to the lineup, and Major Millions became the first progressive to pay out over $1 million, following up by breaking its own record with a $1.59 payout in 2002 and over $1.6 million twice in 2003. Then King Cashalot was released, creating regular winners of $1 million. 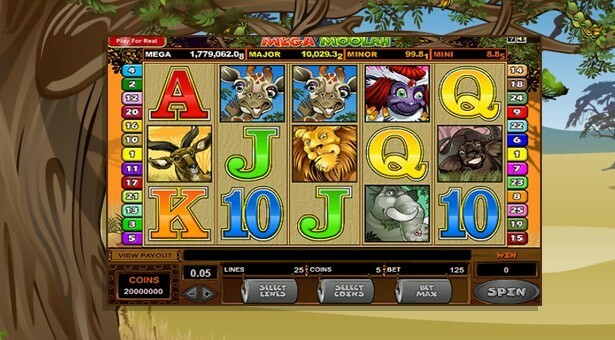 Break da Bank came next, followed by Mega Moolah, which has since spun off a number of variations and combinations with other popular Microgaming titles like Isis. Mega Moolah Jackpot Hits at $11.6m! Marcus Goodwin wins an incredible $11,633,893.44 while playing Mega Moolah slot at Yako Casino. Microgaming's "Millionaire Maker" Mega Moolah slot is offering a jackpot of over $8 million right now! 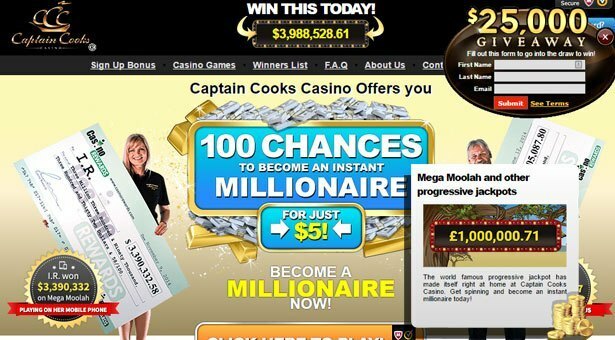 A lucky casino player, known as N.C. has become an instant multi-millionaire by playing a progressive jackpot game at Captain Cooks Casino.